Our Café Shaker Cabinets match well with any color or home décor. Place your Miami home kitchen remodeling in the right hands by utilizing our beautiful café kitchen style cabinet from Stone International kitchen designs. Our team goes above and beyond to exceed your kitchen renovations expectation with an incomparable craftsmanship level. At Stone International, we understand that it is important that you feel as comfortable as possible in your kitchen. For this reason, we offer café shaker cabinets. These shaker style cabinets serve as a universal and easy-to-match cabinet style. No matter the kitchen design you want, shaker cabinetry fits seamlessly while additionally imparting quality and timeless flair. Because most families spend that majority of their quality time in the kitchen today, it often represents a crucial area as the heart of any home. From classic, practical kitchens to today’s modern kitchens, Stone International can help you design a custom kitchen specifically designed for your family’s needs. You can feel enthusiastic about your kitchen once again simply by making some adjustments. This might include a new cabinet style you can select from a number of finishes. It doesn’t matter the design you want, Stone International can offer you a variety of quality kitchen cabinets. This will help you create a uniform look for almost any interior design style. 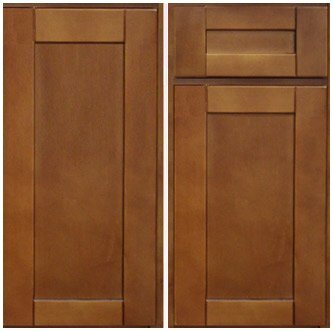 Our custom kitchen cabinets can provide your kitchen with a traditional aesthetic. Café shaker cabinets represent a classic, chic design that can enhance the overall look and feel of your home. These designs will surely please a variety of tastes. The rich finish and classic shaker style kitchen is a truly beautiful combination. This makes them the ideal choice for essentially any kitchen space. Our design professionals from Stone International can provide you with an industrial strength cabinet selection, bolstered by the utilization of our special wood panel and cabinet door seals. Our company provides something that you cannot find even with more expensive options. Every cabinet we produce at Stone International utilizes 100% wood materials. This includes both the panels and doors. Our shaker style is no exception. These provisions will ensure long-term durability, as well as reliability. When you purchase a Stone International cabinet, you receive both a quality cabinet for a great price, in addition to a guide to help you through your selection and installation procedure. In fact, our team offers a full-service kitchen remodeling service for clients in the South Florida community. Furthermore, we understand how a beautiful kitchen can enhance the overall feel of your home, gathering families and visitors alike. The shaker style imparts a flatter design than the traditional raised panel cabinet. However, they still feature specific cuts in the design that can offer your kitchen a uniform aesthetic. These cabinets additionally impart easy cleaning. The more detail and ridges you cabinet doors possess, the more they could trap food, dirt, and debris. Stone International café shaker cabinets sever as a preeminently simple option that makes cleaning your kitchen easy. You can clean down shaker doors with virtually no effort at all. They also boast the same soft close options as our entire collection. Soft close drawers keep your café shaker cabinets in premium shape long after you initially purchase and install them. With Stone International cabinets, our products don’t rub and impart no friction that could potentially result in wood splintering and cracking. 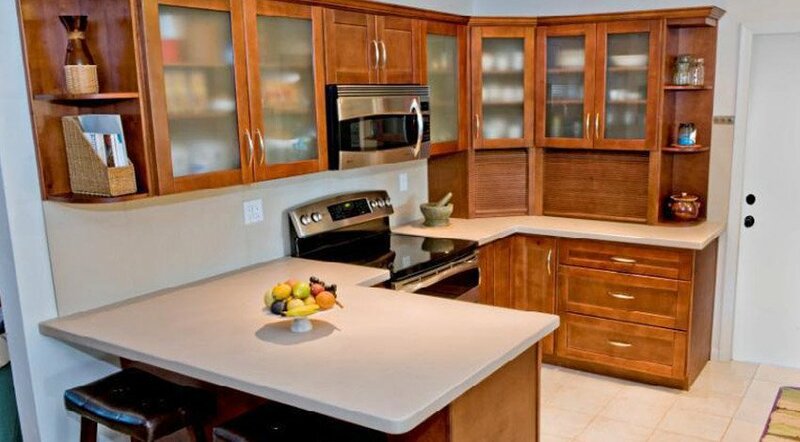 Our team offers full-service kitchen remodeling services for residential clients in the South Florida community. We additionally extend these services on a national level with locations all over the United States. Our mission is offering superior service, as well as top-quality materials with excellent craftsmanship. We promise to take your remodeling vision and make this a reality. Stone International can act as your guide from inception through installation. We owe our stellar reputation to your clients. They appreciate our luxurious and detailed woodwork, often representing out most particular and upscale clientele. Regardless, we take the time to sit down with any homeowner in order to discuss their vision, budget, as well as preferences. The Stone International team cultivates our designs with your ideas in mind. However, we can still provide input stemming from our years of experience in the industry. Our creative and skilled cabinetry specialists can then begin turning your dream cabinet installation project into a reality. The backbone of our business is our commitment to preeminent quality in every step of the process. This includes design, all the way through installation. Great customer service is what we believe doing business should represent, and we commit to this entirely for our customers. Deciding on the right kitchen cabinet option for a home renovation is not an easy task. This difficult endeavor is magnified when you consider their relative permanence in your home. After all, who wants to experience the numerous potential headaches, tribulations, and financial issues concerning remodeling a kitchen space, only to obtain the reward of a short-lived, shoddy product? With Stone International, we can help you feel at ease when you make these challenging decisions. Our prides themselves on the work we do. We desire to satisfy each and every one of our customers. Contact Stone International today to learn more about cafe shaker cabinets, and how we can help you attain an elegantly remodeled kitchen!